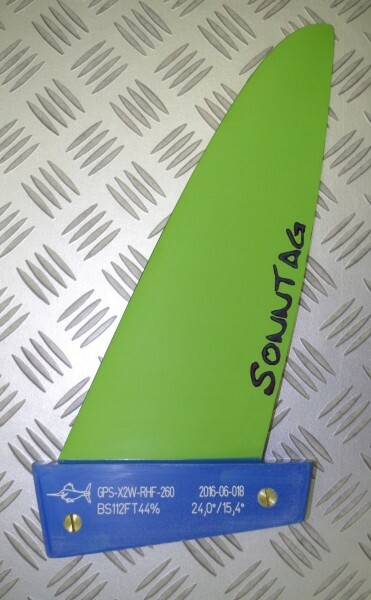 This asymmetrical speed fin is our latest design made for winning new speed records, PBs and spot records. The GPS_X2W was developed together with and tested by Peter de Wit in the last 6 month. 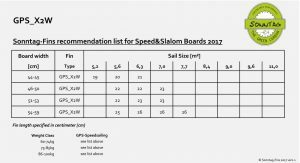 Although this fin is basically designed for speed boards, we also did many tests with slalom boards up to 60cm width and 26cm GPS_X2W that are quite often used as speed board in choppy conditions. The well proofed GPS_X1 asymmetrical profile was optimized in multiple CFD analysis sessions for low drag at small AoA and excellent stalling/spin-out robustness. Compared to the GPS_X1 we flattened out the nose section and added more width in the base area. This new design creates a stable and predictable fin characteristic allowing super fast speed runs also in the chop. 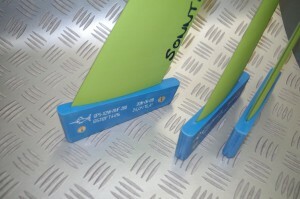 The thin profile requires special measures for making the fin durable and robust. Therefore the fin is exclusively made of the high-end carbon types IMS65 and TeXtreme. These materials have very high safety margins before breaking and are the basis for long-term performance. Available in RHF (Right Hand Front during the speed run) and LHF versons in length of 18 to 26cm with Tuttle base.